We are constantly creating and innovating new features to help you manage your Real Estate business and your clients more effectively. 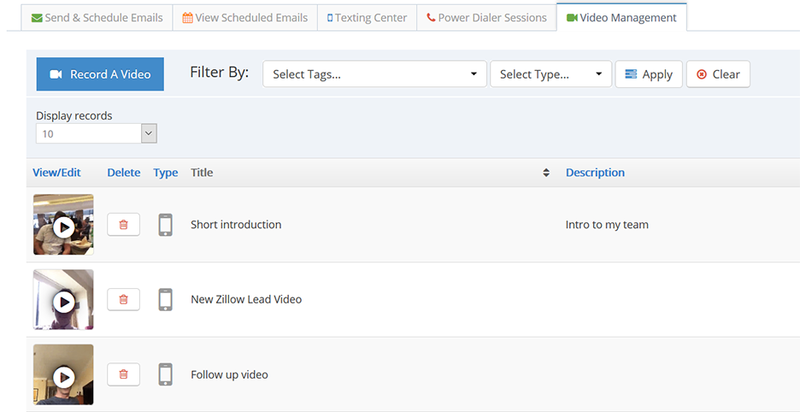 The only CRM with integrated Video Emails and Video Texting. Utilize one on one videos, within drips and mass emails/texting. Use a personalized local area code number and create "Short Codes" to highlight on Sign Riders, Flyers and More. 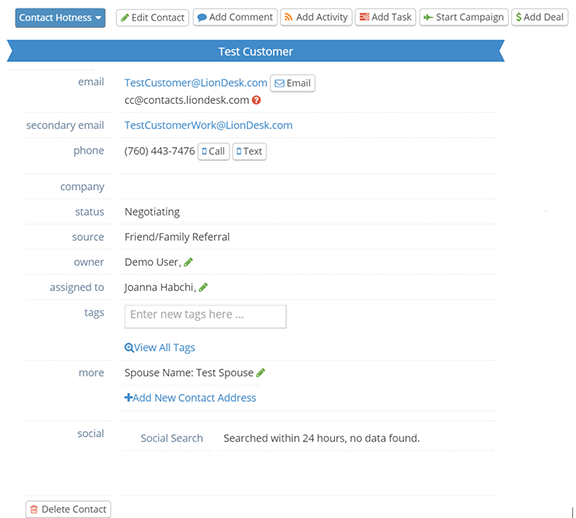 Easily manage all types of lead sources, buyers, sellers, hot or cold clients and more by adding an unlimited number of tags to each client. 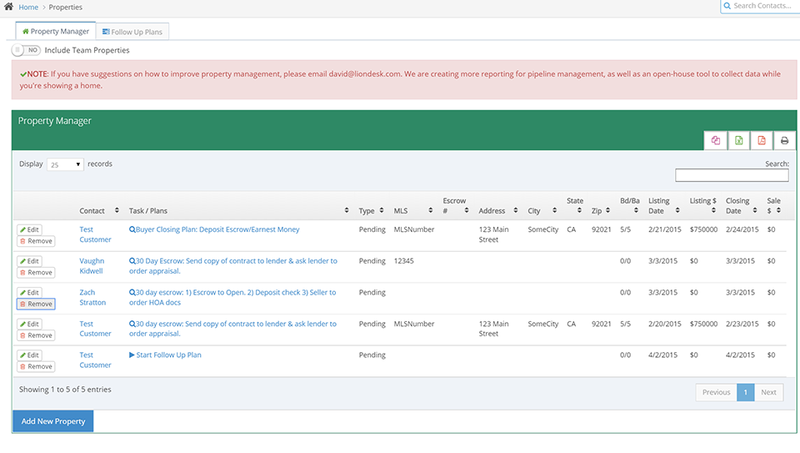 Enter your properties and track your closings. 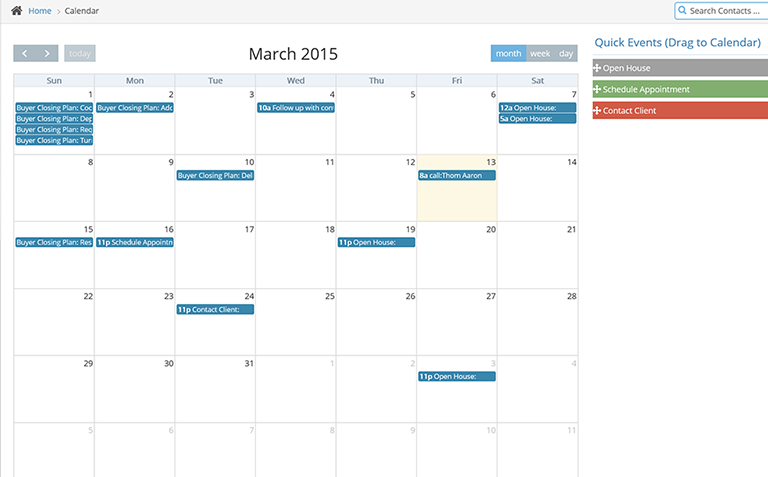 Automate your tasks, manage deadlines and don't let anything slip through the cracks. 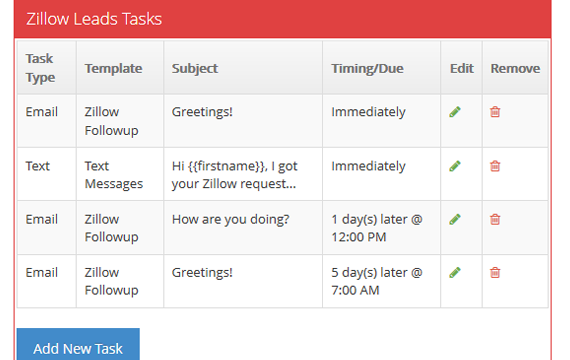 Take all the leads yourself, or distribute them to a team based on their performance or the ZipCode of the request. 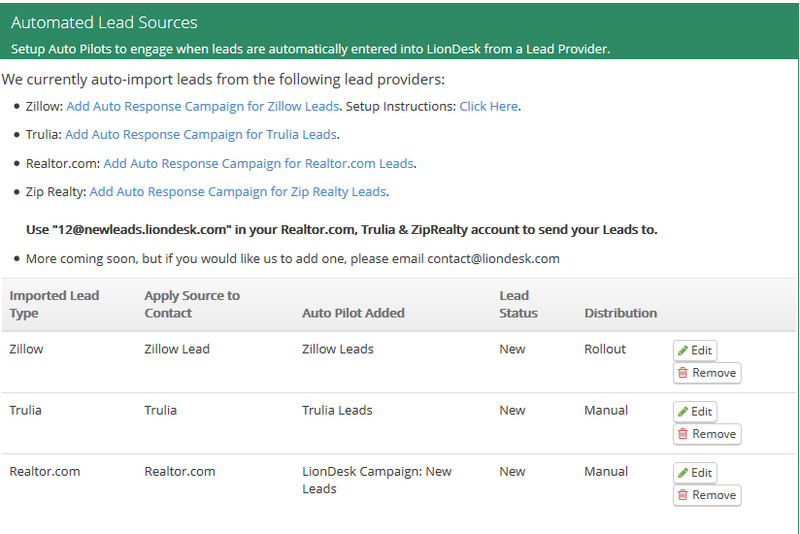 Take your existing lead sources (Zillow, Trulia, Realtor.com, etc) and send them to LionDesk for an instant response to your client. 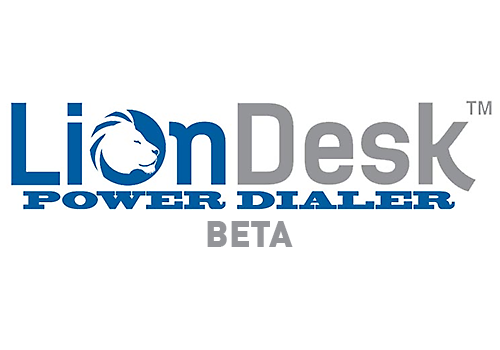 Forget worrying about who you should be calling next, because LionDesk will even call you to remind you. As an approved Facebook CRM Partner you can get your leads directly into LionDesk without the added cost of a 3rd party platform. 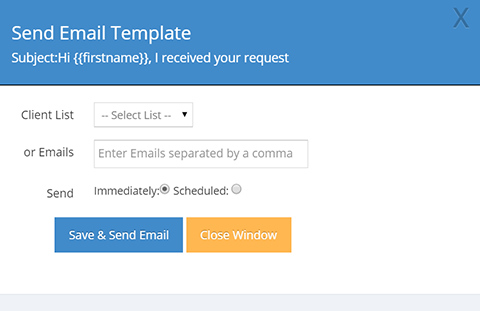 Save all of your sales and marketing emails and send to your clients instantly, or put them on a future scheduled campaign. Managing your texting activity is easy with a comprehensive view of all your contact conversations. 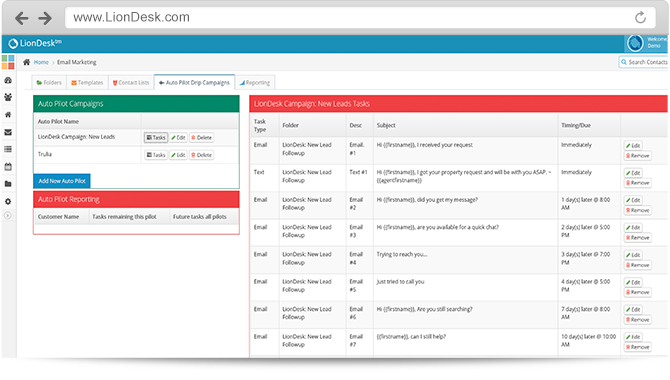 Manage your automated drip campaings easily with LionDesk. 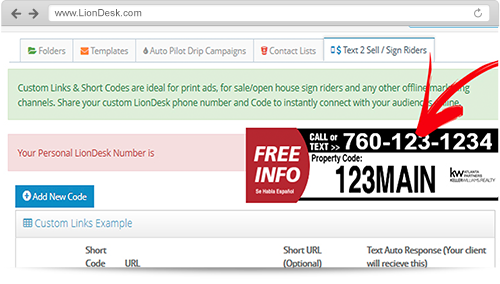 Don't just email, with LionDesk, your campaigns can include automated texts messages and phone calls. Track your deals and your pipeline...know how close you are to closing it, how much you're making and when. 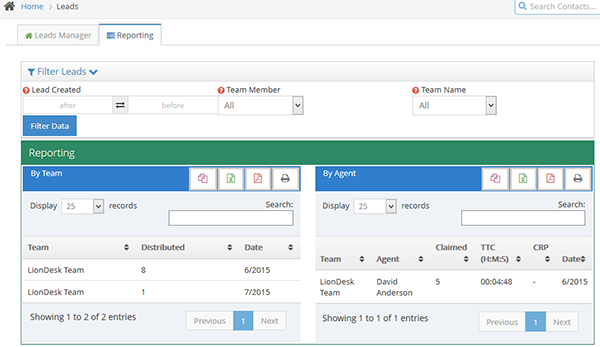 Brokers: View enhanced reports on leads, create master Drip Campaigns to push to your Agents and have a global view of all deals, properties and contacts in your office. Know exactly which prospects are most interested in what you're selling with tracking notifications. Know who opens and clicks on your emails. 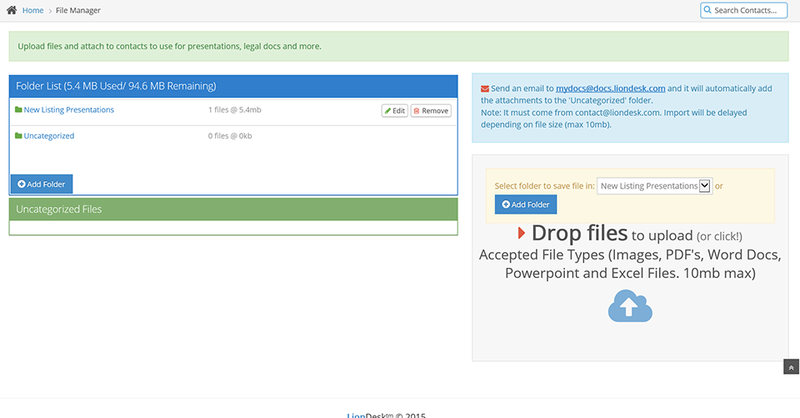 Upload your listing presentations, CMA's and more and associate them to a contact for easy access. 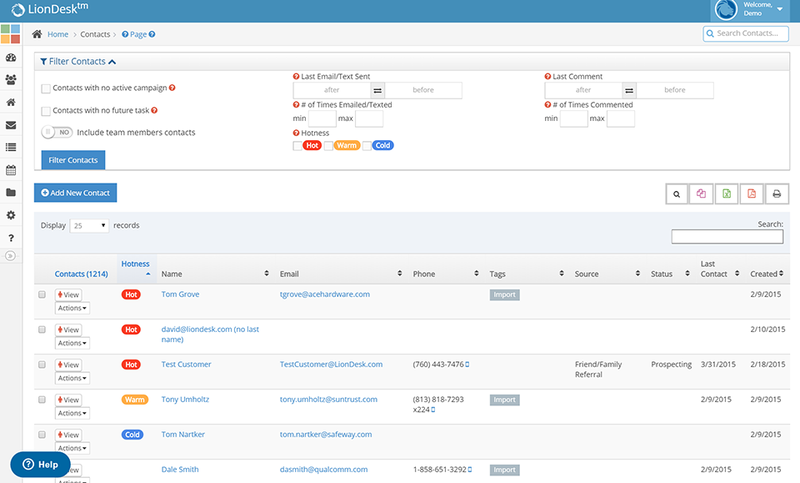 Save time by clicking instead of dialing and track all of your inbound and outbound calls and text messages. 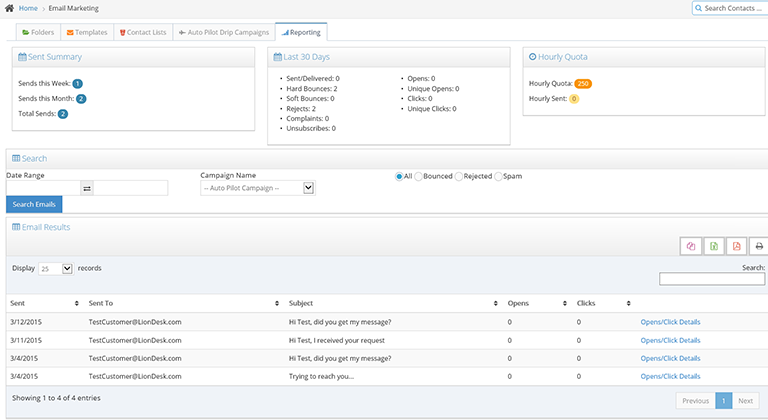 Send automated emails, texts, and calls to every one of your leads and track your conversions. 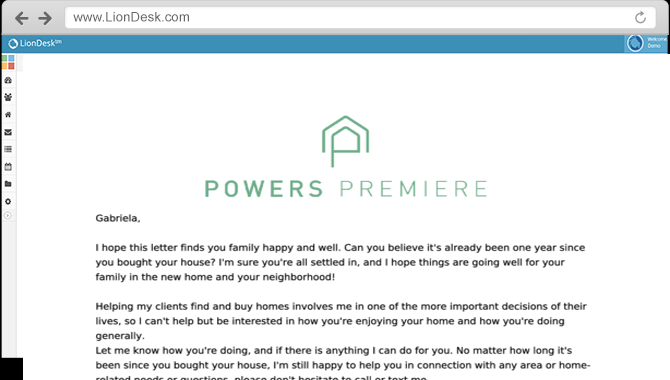 Create a letter or upload a PDF and LionDesk will send it out to your client automatically with a custom Drip Campaign. Try A Demo - It's FREE!